Buying Galaxy S7? Here we have got some of the best buy Galaxy S7 and Galaxy S7 Edge online deals. Ok! 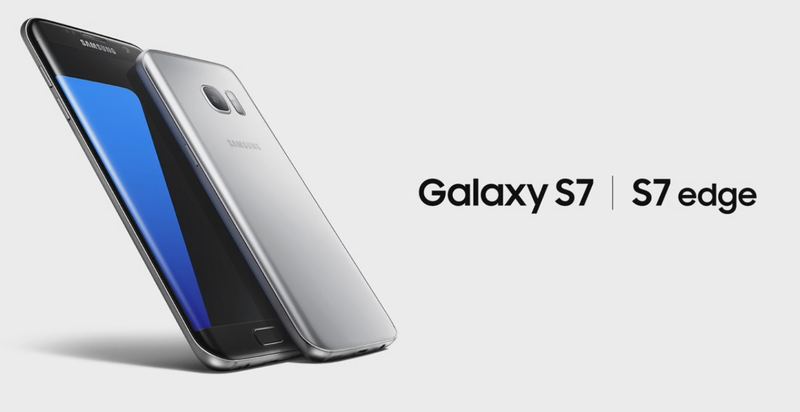 Samsung Galaxy S7 and S7 Edge, announced at Mobile World Congress 2016 on February 22 and without making much delay into the market, this new flagship Samsung phone is now available in India. Actually, we were surprised with the pricing of the phone. Every Galaxy S successor has gone through an increment in price year by year and for the first time, we see a decrease in the price of the flagship phone. 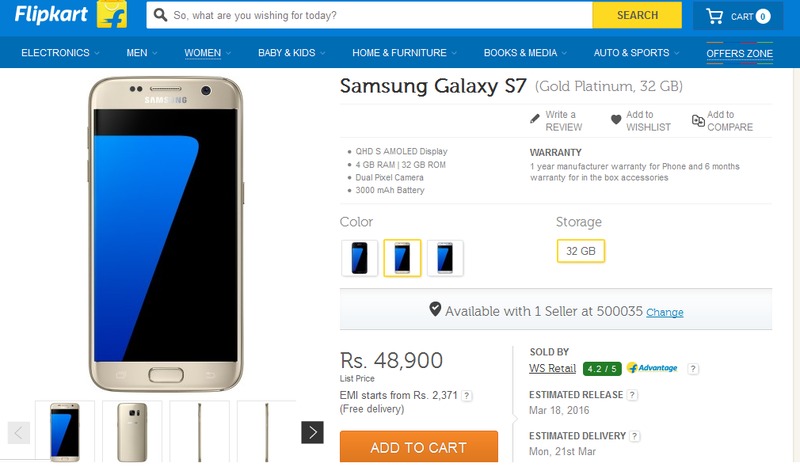 The Galaxy S7 price starts at Rs 43,400 and it’s sold by official ‘WS Retail’ i.e., Flipkart. It’s also available for purchase from other sellers like Amazon, Infibeam, Snapdeal and especially for Snapdeal, you can use various Snapdeal promo code to get the best pricing from ‘Dil Ki deal‘ site. 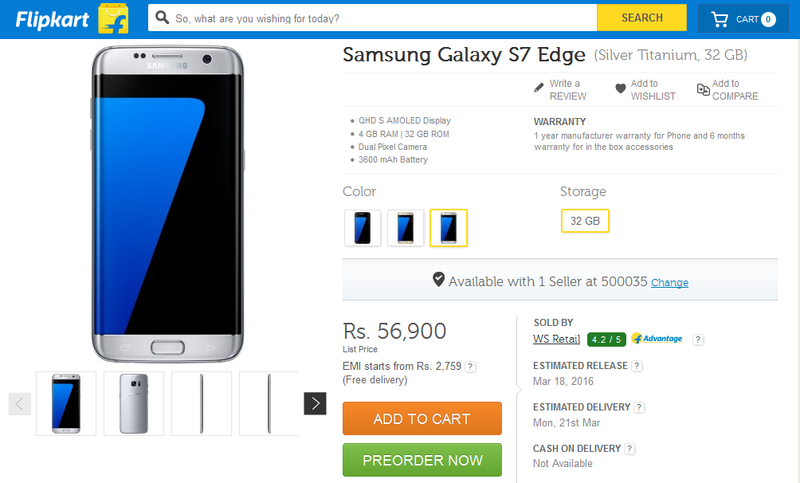 Along with Galaxy S7, Galaxy S7 Edge too is available in India for purchase. The price of Galaxy S7 is said to be 50,900 for any of the Black Onyx, Silver Titanium or Gold Platinum color. Note: Both Galaxy S7 and Galaxy S7 Edge are available for purchase in different pricing from different sellers online. We recommend buying it from authorized sellers/retailers. Buy Galaxy S7 from Amazon at Rs 43,400.